CRM 101: What is CRM? This is a simple definition of CRM. Customer relationship management (CRM) is a technology for managing all your company’s relationships and interactions with customers and potential customers. The goal is simple: Improve business relationships. A CRM system helps companies stay connected to customers, streamline processes, and improve profitability. When people talk about CRM, they are usually referring to a CRM system, a tool that helps with contact management, sales management, productivity, and more. A CRM solution helps you focus on your organisation’s relationships with individual people — including customers, service users, colleagues, or suppliers — throughout your lifecycle with them, including finding new customers, winning their business, and providing support and additional services throughout the relationship. CRM helps grow your business. See how a CRM system improves customer relationships. A CRM system gives everyone — from sales, customer service, business development, recruiting, marketing, or any other line of business — a better way to manage the external interactions and relationships that drive success. A CRM tool lets you store customer and prospect contact information, identify sales opportunities, record service issues, and manage marketing campaigns, all in one central location — and make information about every customer interaction available to anyone at your company who might need it. With visibility and easy access to data, it's easier to collaborate and increase productivity. Everyone in your company can see how customers have been communicated with, what they’ve bought, when they last purchased, what they paid, and so much more. CRM can help companies of all sizes drive business growth, and it can be especially beneficial to a small business, where teams often need to find ways to do more with less. Here’s why CRM matters to your business. Gartner predicts that by 2021, CRM will be the single largest revenue area of spending in enterprise software. If your business is going to last, you know that you need a strategy for the future. You have targets for sales, business objectives, and profitability. But getting up-to-date, reliable information on your progress can be tricky. How do you translate the many streams of data coming in from sales, customer service, marketing, and social media monitoring into useful business information? A CRM system can give you a clear overview of your customers. You can see everything in one place — a simple, customisable dashboard that can tell you a customer’s previous history with you, the status of their orders, any outstanding customer service issues, and more. You can even choose to include information from their public social media activity — their likes and dislikes, what they are saying and sharing about you or your competitors. Marketers can use a CRM solution to better understand the pipeline of sales or prospects coming in, making forecasting simpler and more accurate. You’ll have clear visibility of every opportunity or lead, showing you a clear path from inquiries to sales. Some of the biggest gains in productivity can come from moving beyond CRM as a sales and marketing tool, and embedding it in your business – from HR to customer services and supply-chain management. Though CRM systems have traditionally been used as sales and marketing tools, customer service teams are seeing great benefits in using them. Today’s customer might raise an issue in one channel — say, Twitter — and then switch to email or telephone to resolve it in private. A CRM platform lets you manage the inquiry across channels without losing track, and gives sales, service, and marketing a single view of the customer. Running a business without CRM can cost you real money. More administration means less time for everything else. An active sales team can generate a flood of data. Reps are out on the road talking to customers, meeting prospects, and finding out valuable information – but all too often this information gets stored in handwritten notes, laptops, or inside the heads of your salespeople. Don’t make tracking and managing customer information harder than it needs to be. CRM ensures your data is in one place and can easily be updated by anyone, anytime. Details can get lost, meetings are not followed up on promptly, and prioritising customers can be a matter of guesswork rather than a rigorous exercise based on fact. And it can all be compounded if a key salesperson moves on. But it's not just sales that suffers without CRM. Your customers may be contacting you on a range of different platforms including phone, email, or social media — asking questions, following up on orders, or contacting you about an issue. Without a common platform for customer interactions, communications can be missed or lost in the flood of information — leading to a slow or unsatisfactory response. Even if you do successfully collect all this data, you’re faced with the challenge of making sense of it. It can be difficult to extract intelligence. Reports can be hard to create and they can waste valuable selling time. Managers can lose sight of what their teams are up to, which means that they can’t offer the right support at the right time – while a lack of oversight can also result in a lack of accountability from the team. What does a CRM system do? A customer relationship management (CRM) solution helps you find new customers, win their business, and keep them happy by organising customer and prospect information in a way that helps you build stronger relationships with them and grow your business faster. CRM systems start by collecting a customer's website, email, telephone, social media data, and more, across multiple sources and channels. It may also automatically pull in other information, such as recent news about the company's activity, and it can store personal details, such as a client's personal preferences on communications. The CRM tool organises this information to give you a complete record of individuals and companies overall, so you can better understand your relationship over time. A CRM platform can also connect to other business apps that help you to develop customer relationships. CRM solutions today are more open and can integrate with your favourite business tools, such as document signing, accounting and billing, and surveys, so that information flows both ways to give you a true 360-degree view of your customer. 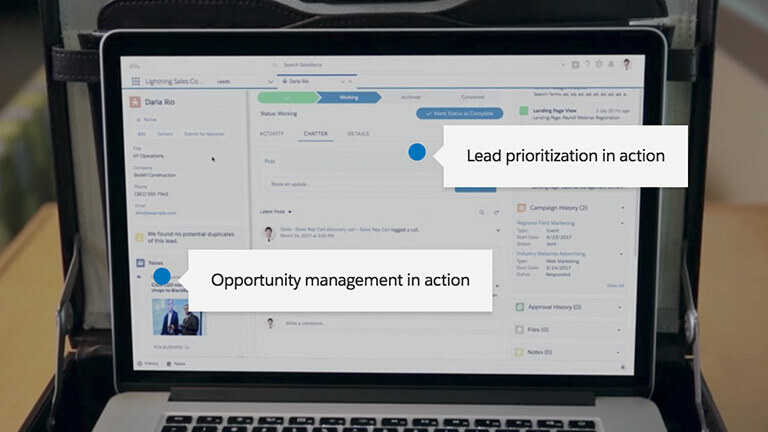 And a new generation of CRM goes one step further: Built-in intelligence automates administrative tasks, like data entry and lead or service case routing, so you can free up time for more valuable activities. Automatically generated insights help you understand your customers better, even predicting how they will feel and act so that you can prepare the right outreach. Here’s how a CRM system can help your business today. 1. Make improvements to your bottom line. Source: Salesforce Relationship Survey conducted 2014–2016 among 10,500+ customers randomly selected. Response sizes per question vary. 2. Identify and categorise leads. A CRM system can help you identify and add new leads easily and quickly, and categorise them accurately. By focusing on the right leads, sales can prioritise the opportunities that will close deals, and marketing can identify leads that need more nurturing and prime them to become quality leads. With complete, accurate, centrally held information about clients and prospects, sales and marketing can focus their attention and energy on the right clients. 3. Increase referrals from existing customers. By understanding your customers better, cross-selling and upselling opportunities become clear — giving you the chance to win new business from existing customers. With better visibility, you’ll also be able to keep your customers happy with better service. Happy customers are likely to become repeat customers, and repeat customers spend more — up to 33% more according to some studies. 4. Offer better customer support. Today's customers expect fast, personalised support, at any time of day or night. A CRM system can help you provide the high-quality service that customers are looking for. Your agents can quickly see what products customers have ordered, and they can get a record of every interaction so they can give customers the answers they need, fast. 5. Improve products and services. A good CRM system will gather information from a huge variety of sources across your business and beyond. This gives you unprecedented insights into how your customers feel and what they are saying about your organisation — so you can improve what you offer, spot problems early, and identify gaps. Want to sell more, faster? Skip ahead. 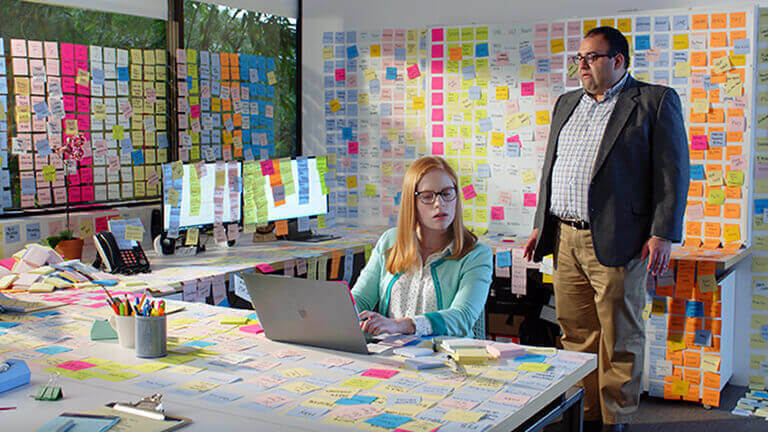 Check out our interactive video and see how CRM with Salesforce can help you win customers — as well as find them and keep them happy. Here’s what cloud-based CRM offers your business. CRM and the cloud computing revolution have changed everything. Perhaps the most significant recent development in CRM systems has been the move into the cloud from on-premises CRM software. Freed from the need to install software on hundreds or thousands of desktop computers and mobile devices, organisations worldwide are discovering the benefits of moving data, software, and services into a secure online environment. Cloud-based CRM systems such as Salesforce (Learn more: What is Salesforce?) mean every user has the same information, all the time. 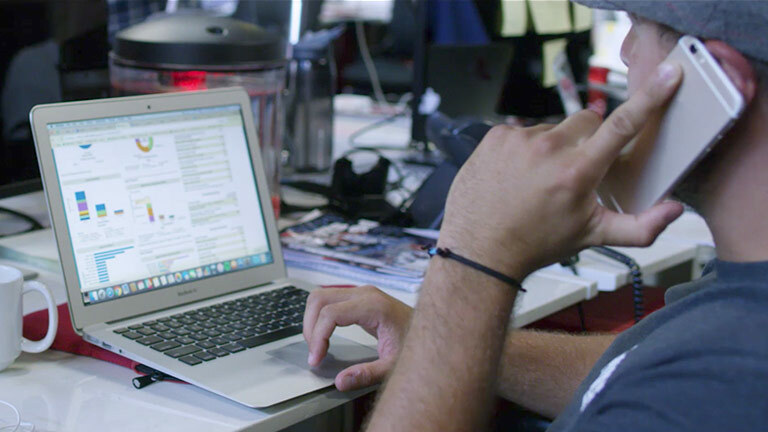 Your sales teams out on the road can check data, update it instantly after a meeting, or work from anywhere. The same information is available to anyone who needs it, from the sales team to the customer service representatives. CRM can be quick and easy to implement. A cloud-based system doesn’t need special installation, and there’s no hardware to set up, keeping IT costs low and removing the headache of version control and update schedules. Generally, cloud-based CRM systems are priced on the number of users who access the system and the kinds of features you need. This can be very cost-effective in terms of capital outlay, and is also extremely flexible — enabling you to scale up and add more people as your business grows. Salesforce is flexible in terms of functionality, too — you’re not paying for any features that are not useful to you. What is Salesforce CRM? Try it free for 30 days and see how it can help you grow your business. 6 ways CRM helps grow your business. Does my business need a CRM system? What CRM Tools Should My Company Use? What should I look for in a CRM solution? Why Salesforce is the #1 CRM for growing businesses. How to craft a CRM strategy.